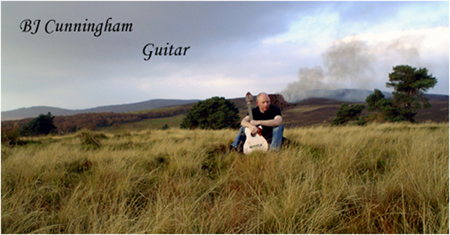 BJ Cunningham is a songwriter guitarist & tutor from Ayrshire near Glasgow in Scotland. His guitar playing style covers rock, folk, pop, blues, soul, acoustic, country and instrumental guitar songs. Check out his new independent music, private guitar lessons, songwriting tuition and guitar sales here. smooth finger picking sounds to addictive beats and solo guitar work. Listen & download the mp3 songs or guitar tablature above.